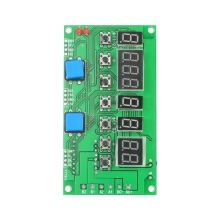 This LED Motor Drive Controller features small size and LED display, which can be adjusted steps/angle/direction/speed/time. Small size for convenient operation. With LED display for clear reading. Includes forward and reverse direction.